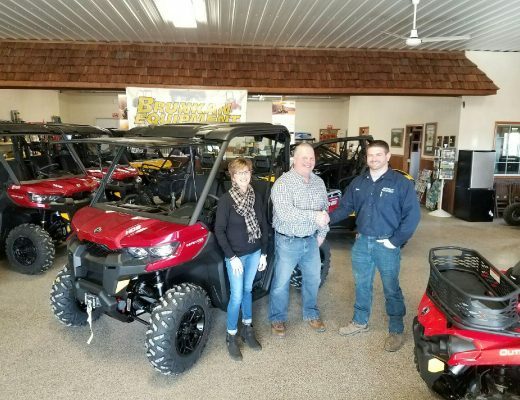 Thief River Falls, Minn. (December 7, 2011) – Arctic Cat launched its first on-line Arctic Store in the U.S. late May and has now launched its second on-line store in Canada. Consumers in Canada are now able to shop for Arctic Cat parts, oil, garments and accessories on-line and have them delivered to their home or to a nearby Arctic Cat dealer. From dirt to snow, Arctic Cat makes on-line shopping easier to match the perfect product to your riding style and machine. 24-7 shopping: On-line orders are allocated within 24 hours and the consumer usually receives their order within 7 days either at their home or nearby dealer pick-up. Easy Navigation & Product Searching: Parts can be searched by category, by model year or model name, color or size. Secure, Confidential and Reliable: Built-in security measures protect your information from loss, misuse and alteration. Visa, MasterCard, American Express and Discover are currently accepted. For dealer pick up orders, the consumer indicates which dealership they want to visit for order pick up (within a 150 mile radius). The Arctic Cat on-line store also utilizes new technology from ARI – PartStream; an ever-expanding collection of parts diagrams dating back to 1974. This feature simplifies a consumer’s search for the exact part they require regardless of the age of their machine.